Sylvia Marie Panetta is Co-Chair and CEO of The Panetta Institute for Public Policy. She and her husband, Leon, began the Institute on December 17, 1998, with a mission to encourage young people to pursue lives of public service and to bring discussion of important issues to the community. As CEO of the Panetta Institute, Mrs. Panetta oversees the day-to-day operations of all its programs and projects. She has also served as an advisor to the Chancellor of California State University since March 1997. In late 1996 and early 1997, she co-directed the “VIP” section for the 1996 Presidential Inauguration. In 1995, Mrs. Panetta was appointed Deputy Director for Staff and Finance at the President’s Crime Prevention Council in Washington, D.C. This agency was responsible for coordinating federal programs related to youth development and crime prevention. From 1977 to 1993, she directed five Congressional district offices in the 16th (now 20th) Congressional District as a volunteer for Mr. Panetta, who represented the area for sixteen years. She directed each of his re-election campaigns from 1980 to 1992. Mrs. Panetta actively supports the Sylvia Panetta Scholarship Fund, a grant program established in her name in 1990 at Monterey Peninsula College that helps financially disadvantaged second-year students to continue their education at a four-year educational institution. She is a past board member of the National Steinbeck Center, where she served as the Vice President for Education and Chair of the Education Committee. 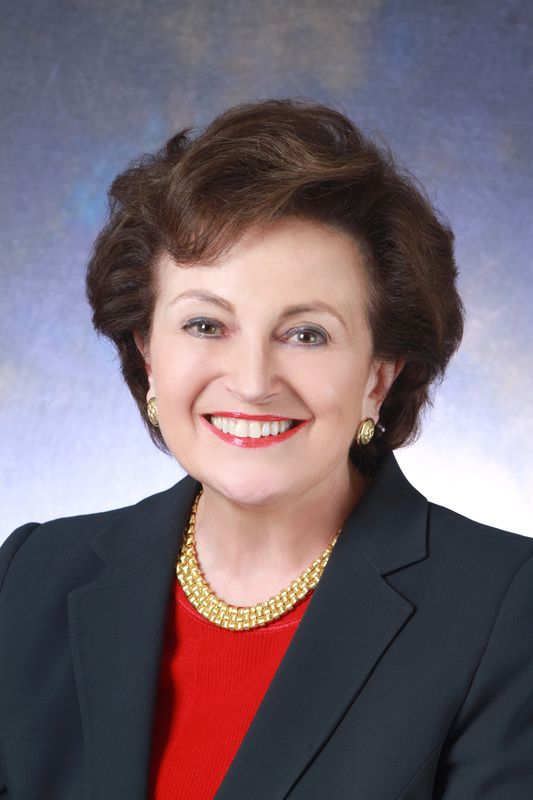 She is also a past board member of the Community Foundation for Monterey County and served on the board of directors for the University of California, Santa Cruz Foundation. Mrs. Panetta’s community involvement has extended to many non-profit organizations with an interest in public education. This began in the mid 1960s when her children attended public schools in Washington, D.C., New York City, and later the Monterey Peninsula. She served on parent advisory committees including ESEA Title I and early childhood education programs. Mrs. Panetta also was the founding executive director of the Foundation to Support the Monterey Peninsula Unified School District, a non-profit organization designed to promote and provide grants to programs serving children within that district. In addition to public education, Mrs. Panetta has a particular interest in healthcare and youth development issues. In past years, she has served as honorary chair for numerous fundraising campaigns for the Hospice of the Central Coast, the Visiting Nurses Associations of Santa Cruz County and the Central Coast, the March of Dimes of the Monterey Peninsula, and the Boy Scouts of America, Monterey Peninsula. She also has taught courses in childbirth and home healthcare for the American Red Cross. Mrs. Panetta has been recognized many times for her efforts on behalf of the community and her commitment to youth. Among her many awards and honors are the Community Service of the Year award from the Central Coast Counties Democratic Club; the Woman of the Year award from the Monterey/Pacific Grove Quota Club; the Community Partnership for Youth award, Those Who Honor Youth; The Monterey County Reading Association’s Distinguished Service award; the Public Official of the Year award from the Monterey Peninsula Chamber of Commerce; Outstanding Woman for 2001 by the Monterey County Commission on the Status of Women; a Resolution of Commendation from the Monterey County Office of Education for her work in public education; a Doctor of Laws honorary degree from Dominican University; the Theta Omicrom Service award: the California State University Monterey Bay Fellows award for community and public service; the National Society of Daughters of the American Revolution Community Service Award; the Distinguished Public Service Award from the Delta Kappa Gamma Society International, Chi State Chapter; the National Steinbeck Center Valley of the World Education Award; the Woman of the Year award for the California Fifteenth Senate District; the Outstanding Community Service Award from her alma mater, St. Vincent de Paul High School in Petaluma; the Unto the Light Award from Congregation Beth Israel; the Monterey County Business Council Economic Vitality Award for Education; and the Monterey Peninsula Chamber of Commerce Citizen of the Year in 2011. Most recently, Mrs. Panetta was inducted into the Monterey Business Hall of Fame by the Monterey County Business Council and received the Service Above Self Award from the United States Marine Corps Scholarship Foundation. Her education in pre-nursing and humanities began at Dominican College in 1958-59, and she graduated from St. Joseph’s College of Nursing in San Francisco in 1962. She later studied humanities at Monterey Peninsula College in 1973-74 and went on to study as a humanities major at Sonoma State University in 1974-75. Mrs. Panetta was born in San Francisco and resides in Carmel Valley. She has three grown sons and six grandchildren.